This chapter provides a general overview and an introduction. 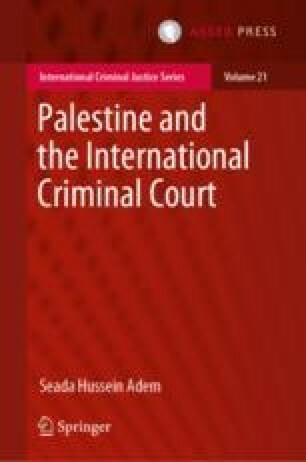 It starts by giving a background to the interaction of Palestine with the International Criminal Court followed by the objectives of the study. It also presents a discussion of the available literature on the topic. The final section of the chapter provides the limitations followed by the outline adopted to answer the main questions.